This light-weight, oil-free moisturizer absorbs without a trace, creating an invisible barrier against moisture loss. Moisturizers help to protect the skin’s natural defenses against the environment while controlling moisture loss from the skin. This becomes more important as we age when the Stratum Corneum’s Natural Moisturizing Factor (NMF) becomes less effective at regulating the skin’s water balance. Our Silicone-based moisturizer melts gently into sensitized skin to soothe and help repair damage from environmental aggressions. From breakout-prone and aging skin to hyperpigmented and dry, dehydrated skin, exfoliation is important to the health of all skin conditions. Dermalogica recommends pairing one day of intense exfoliation with 7 days of gentle exfoliation to more effectively stimulate cell renewal rates, helping to reduce the signs of premature aging, improve texture and brighten skin. With our selection of chemical and physical exfoliants that range from gentle to more intense, there is a Dermalogica Exfoliant for every skin condition. 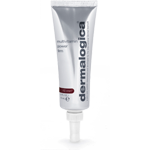 Dermalogica Toners help retexturize and refine the skin¹s surface after the cleansing step, and they lay the foundation for all products applied afterward. Toners work to improve skin health and overall appearance of skin and can be used to refresh, hydrate, or purify as needed throughout the day. Sheer Tint Moisture SPF15 is a convenient, three-in-one product: a lightweight, oil-free moisturizer, a sheer color wash and sun protection.